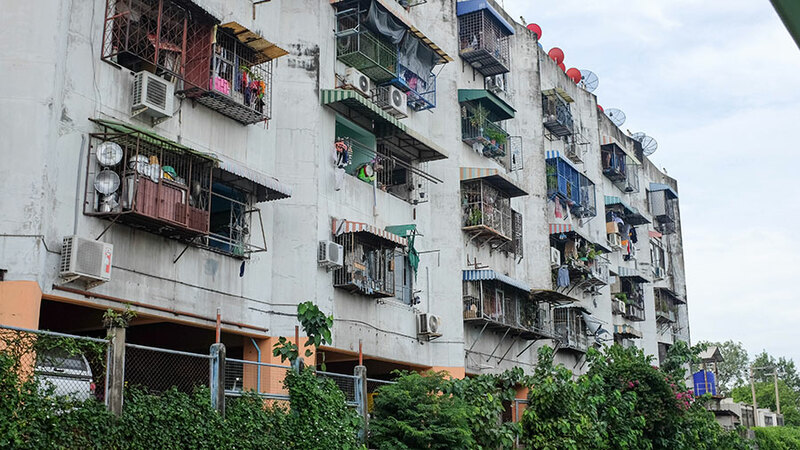 Bangkok is a favourite for travel writer and blogger Chris Ashton, and during a visit in October last year he took a Bangkok canal tour on long tail boat – and found a side to the city that surprised him. 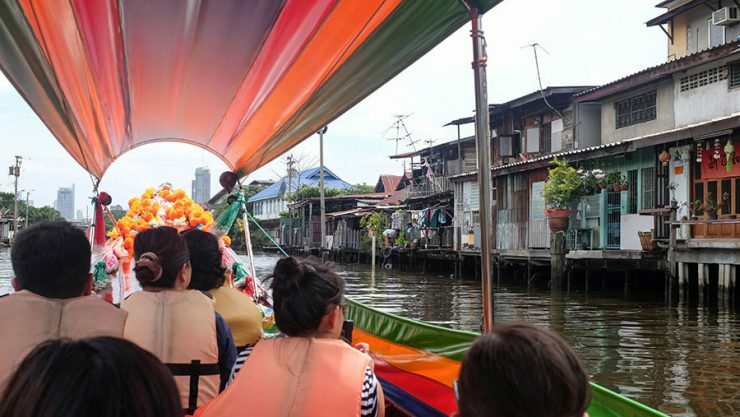 It’s not a well-known tourist activity, and it was surprising at times, but if you have time, a long tail boat cruise offers a glimpse into a side of Bangkok not seen in the guide books. 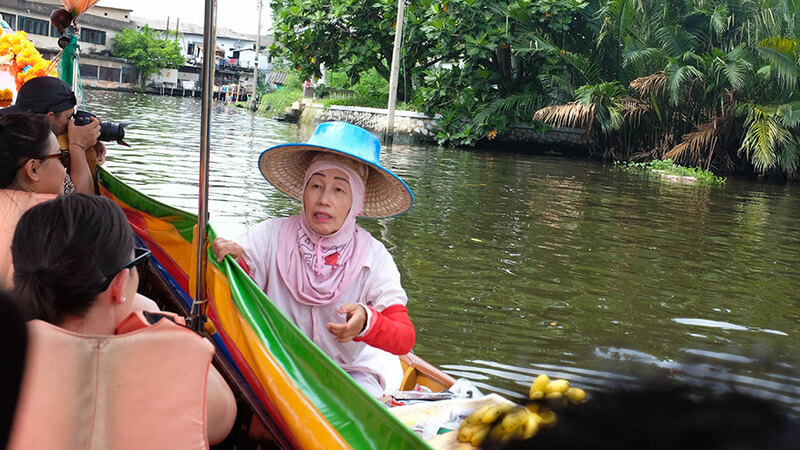 My small group boarded a long boat at Wat Rajsingkorn ferry terminal near The Asiatique, did a couple of laps up and down the Chao Phraya River, and entered the Khlongs (canals) of Thonburi via a lock system at Dao Khanang. From there we continued up Bang Khun Tian, and eventually returned back to the Chao Phraya River via Bangkok Yai. All up the trip took around an hour and thirty minutes. 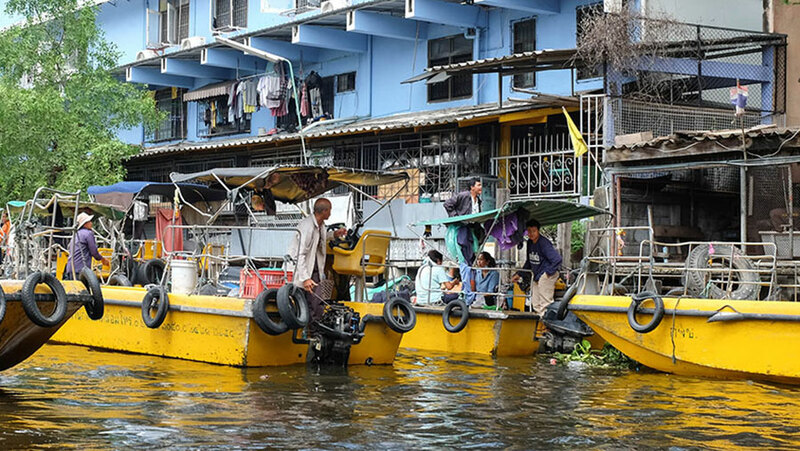 It was a leisurely pace which allowed plenty of time to check out enormous temple complexes, grand estates, modern apartment blocks and ramshackle houses built along (and sometimes falling into) the river. Sightseeing was definitely part of the appeal, but it was the people watching that intrigued me most. 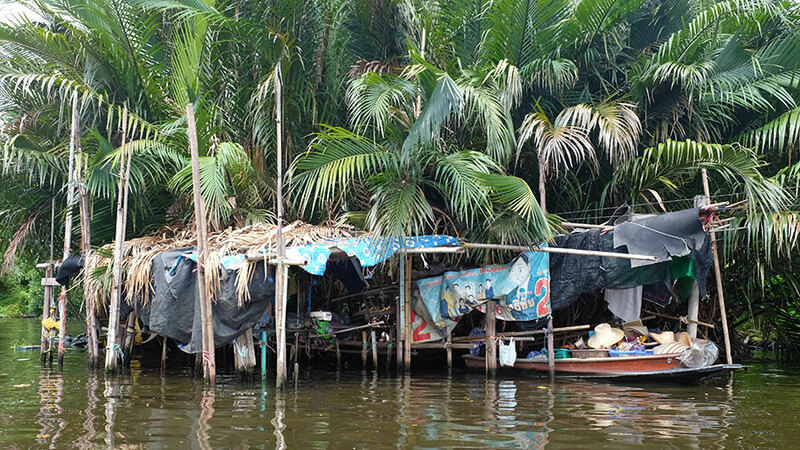 Longtail boat drivers, garbage collectors, floating salespeople selling fruit from their tiny canoes – it was fascinating to see how the river is so vital for so many people. 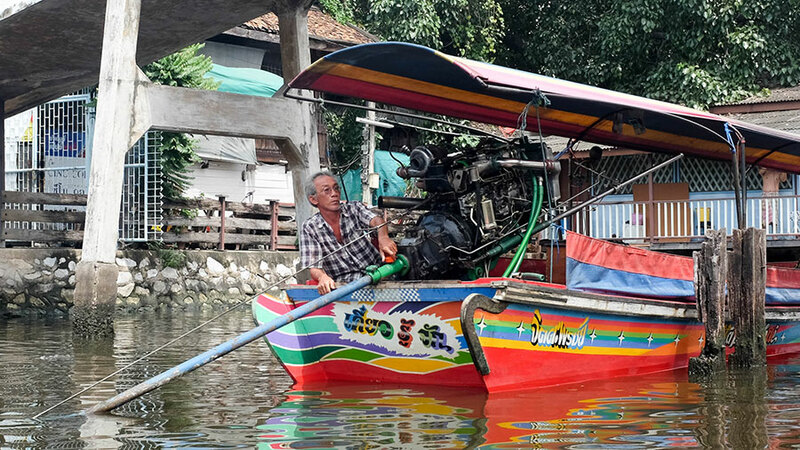 Long tail boats are essentially like tuk-tuks on water. The hire cost is negotiable with the driver directly, but if you’re like me and aren’t very good at haggling (read: terrible at it), then it’s worth booking a guided tour. The safest bet is to enquire about guided tours at your hotel. Read more of Chris’s travels on his travel blog Repeat Traveller.